In these lessons, students will be introduced to the world that Shakespeare lived and wrote in. This will help them to build an informed overview of the social and historical contexts important to the dramatic world. Tasks include: exploring a range of historical sources for Macbeth and asking why Shakespeare made changes; researching James I's view on witchcraft and the controversy surrounding this topic; and revision on how to write about the play in its wider contexts. Can I compare Shakespeare’s play with a historical source and identify and analyse key similarities and differences? Can I speculate about Shakespeare’s reasons for making the changes he did and explain my ideas clearly? Students should list in pairs any films, TV shows or plays they can think of that retell a story that really happened. Can they identify any ways in which the historical sources were altered in the adaptation, e.g. Chariots of Fire, Erin Brockovich, Calendar Girls, Evita, etc. Take feedback and discuss some of the reasons why such changes are made. Ask students what they already know or think they know about Shakespeare’s sources for this play and how he adapted them. Students should then quickly read the extracts from Holinshed about the sequence of events and the portrayal of key figures in the story. They should try to make sense of the text and clarify any parts where they are not sure of the meaning. Then ask students to pool their resources and work in pairs. Take feedback about how they found the experience of reading this text. Finally, ask students about any similarities and differences they have noticed when comparing the historical source with the drama by Shakespeare. In groups, students read the three extracts from Holinshed’s Chronicles of England, Scotland and Ireland. Students should now annotate the passages, answer the questions and make additional notes in the Student Booklet, comparing Holinshed’s and Shakespeare’s presentation of the story of Macbeth. Students could take an extract per group and feedback their detailed findings. They should ensure that they have provided evidence from both texts to support their points. Remind students that one of the extracts is about King Duffe who lived eighty years earlier. As an extension task, students could research online and read additional extracts from Holinshed’s history. Lead a discussion of students’ findings and move the discussion on to speculation about why Shakespeare might have made these changes. Ensure that students record some of the key points raised in this part of the discussion. How did Shakespeare adapt the historical source material about Duncan and Macbeth and why? How and why did Shakespeare incorporate source material about King Duffe who had died eighty years previously? What particular reading challenges did the Holinshed text present students with and how did students tackle them? Ask students to compile a list of their best pieces of advice to fellow students on decoding and comprehending this sixteenth century prose text. Should they wish to, students can research these sources more extensively at shakespeare-navigators.com/macbeth/Holinshed/index. Students could produce a short piece of comparative and analytical writing to be assessed for reading and writing. Can I consider how magic and witchcraft might have been viewed and understood by audiences in Shakespeare’s time? Can I present evidence to support my ideas? Students view a series of images about witchcraft that conform with some stereotypes today, e.g. black pointy hat, broomstick, cauldron, etc. They should discuss the connotations of these images for modern audiences, and speculate about the connotations of the words ‘witch’ and ‘magic’ during Shakespeare’s time. In Shakespeare’s time, the killing of a king would have been seen as an offence against God’s wishes. As it was against the natural order of things, this act was capable of leading to all kinds of frightening and unnatural events. This activity asks students to look closely at Act 2 Scene 4, lines 1-19 and to identify three weird happenings that the characters have witnessed since King Duncan’s death (e.g. darkness during the daytime, a falcon killed by an owl, Duncan’s horses turning wild and eating each other). List them in the Student Booklet. ‘But the most famous of all the literary works inspired by witchcraft, winning widespread acclaim in its day and ever since, was Shakespeare’s Macbeth. It is deliberately short in length, as James was known to have little patience for sitting through long plays; it is also significant that the occasion of its inaugural performance was a visit by Queen Anne’s brother, the King of Denmark, in 1606, given that it was James’ voyage to his wife’s native land that had prompted his obsession with witchcraft. Shakespeare wove in several references to this voyage in the play, such as when the First Witch claims that she set sail in a sieve, just as one of the North Berwick witches was accused of doing. The line ‘Though his bark cannot be lost,/Yet it shall be tempest tossed almost certainly alluded to James’ near-death experience. Students should aim to comment on the importance of their research in shedding light on the text of the play itself. The next activity takes students through this process of exploring the text in context in more detail. Students could re-read Act 1 Scene 1 and Act 1 Scene 3 lines 1-37. First of all, students should look for any clues that fit with the stereotypical image of a witch that was discussed earlier. Take some quick feedback. Then, as you model one or two examples, students should annotate the text (in the Student Booklet) to show how contextual information can support interpretation of the text itself, e.g. How has greater knowledge and understanding about context enhanced my understanding of the play Macbeth? In what other areas and aspects of the play has knowledge of context enhanced my understanding? Students could each select one short quotation from the play where their knowledge of historical and social context has supported them in their quest for meaning, and share examples with one another. The Gunpowder Plot is the name given to the plan devised by a group of Catholic plotters in 1605 to blow up the King and both houses of Parliament, and put a Catholic on the throne. The plan was foiled by the government intelligence service and the conspirators were put on trial and executed. These materials are designed to build on the KS3 Historical and Social Context lessons. Can I comment on a range of interpretations of Shakespeare’s Macbeth? Can I analyse some of the factors that influence how literary works are interpreted in different contexts? their own verdict on this particular retelling. Then students should work in small groups and become experts specialising in one picture. They are going to be preparing tour guide notes on cue cards; one member of their group should then use these when giving a brief talk about their picture for the forthcoming exhibition. Give students a fixed amount of time to research their image, prepare their cue cards and rehearse the talk. Then open the 'exhibition' and hear from each group in turn, as the class move from picture to picture. Watch or find out more about a recent version of Macbeth e.g. the 2015 film starring Michael Fassbender and Marion Cotillard. Discuss what makes this version of interest to modern audiences, e.g. has the setting been updated? are particular themes emphasised or parallels drawn with current issues? what about the look and feel of this version in terms of cinematography, the musical score, special effects, etc.? 3) Quiz: What’s the connection? What do students notice about the aspects of Macbeth that are particularly well-known and iconic? What kind of impact has Macbeth had on our culture and language today? How have directors, actors, etc. sought to make Macbeth relevant and contemporary? What is it about Macbeth that resonates with audiences today? Introduce the homework task (described in the Epilogue), and give students some thinking time to scribble down their initial ideas. In the Key Stage 3 Historical and Social Context Lesson Plans, it was suggested that students could view a YouTube clip of Kate Tempest as part of a broader discussion on the relevance and value of reading and studying Shakespeare today. To continue this discussion, students could view this clip of comedian, writer and musician Tim Minchin talking about what Shakespeare means to him: youtube.com/watch?v=X0o8wQfVEhs. As a homework task, students could be given the opportunity to think in a creative and wide-ranging way about interpreting Macbeth in the 21st century. Ask them to create or design something inspired by Macbeth; this could be an item of clothing or jewellery, a poem or song, a comic strip, Lego scene, or an advert. Can I write about the context of Macbeth in a way that enhances audiences’ understanding and enjoyment of the play? Show students a range of theatre programmes for them to browse and borrow ideas from. Students should make notes on the contents of programmes. What are the essential items a programme should include? What else is sometimes included? Model a close reading of one article from a Globe programme that gives readers valuable insights into an aspect of the play’s context. 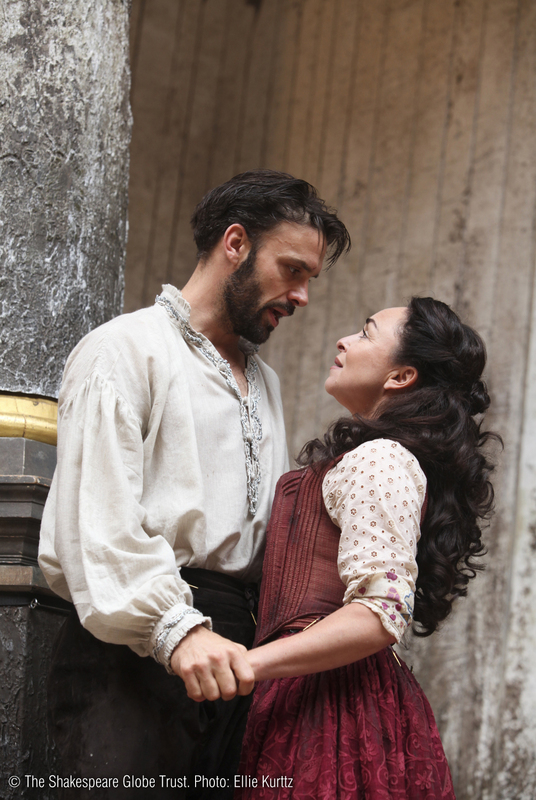 Students should now draft their own programme for a production of Macbeth at the Globe. Provide students with a list of minimum contents, but students can choose to include other elements to enhance their finished piece of writing for assessment. Alternatively, students could collaborate to produce one entire programme as small groups or as a whole class. Why do people buy theatre programmes? What should a theatre programme include? Students should exchange work in progress and peer assess drafts using the success criteria. With this and many other activities in these materials, particularly Text in Performance ones, students could also make links to their local theatres. Perhaps they could visit the theatre to find out more about programmes and publicity, the theatre’s history and archives, front of house and box office as well as many other aspects such as the auditorium, technical features of the theatre ‘behind the scenes’, stage management, etc. 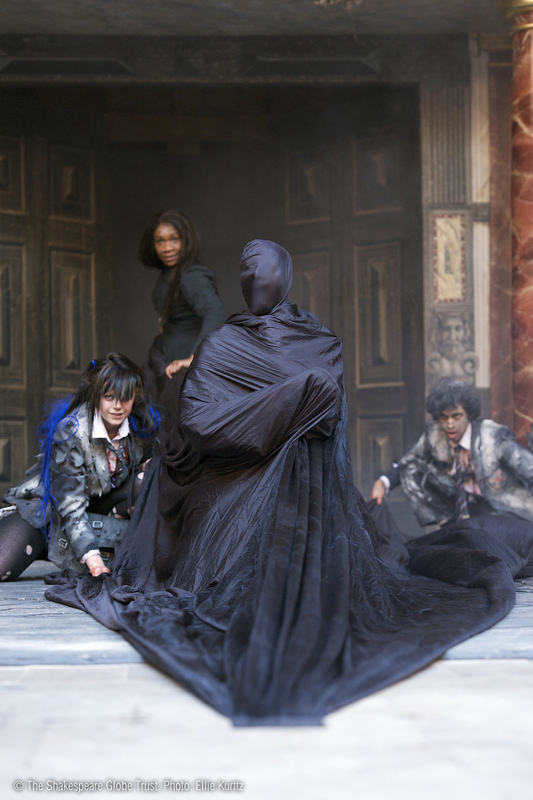 Students’ programme notes for Macbeth can be assessed for reading and writing. Can I make references to context in my essays that support and enhance my interpretation of the text? Ask students to prepare a quickfire factual quiz about the context of Macbeth, e.g. Who was the king or queen of England at the time Shakespeare wrote Macbeth? The Student Booklet contains a page of activities that will help students integrate perceptive comments about context into their written work about Macbeth. Self/peer assessment task reviewing relevance or otherwise of points made in relation to context. The extent to which placing the text in its historical and social context is expected of students will depend on the curriculum and syllabus being studied and the weighting of assessment objectives against particular skill areas. A full list of Macbeth tasks can also be found in the Student Booklet.